Happy Saturday! It's been too long since I have posted a card, but I couldn't pass up this week's sketch at MOJO. 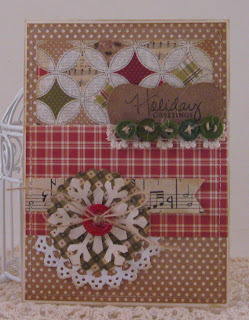 For this card, I used DP's from Simple Stories - lovin' this line! 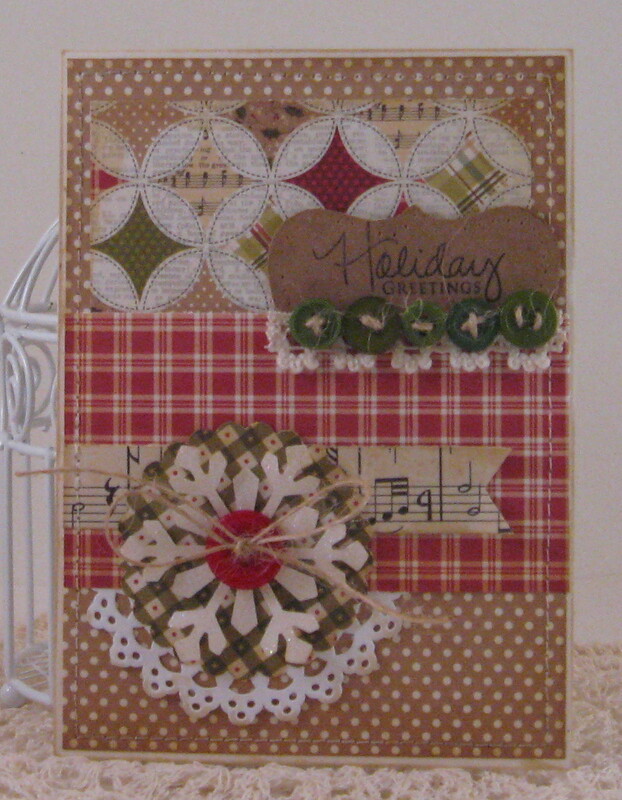 Stamps, buttons, twine and cardstock from PTI, paper doily and snowflake punch from Martha Stewart, misc. crocheted trim. your card is gorgeous, luvi how you did the snowflake. I too, have been cleaning out and organizing my dh built me a cabinet and wow has it been a ton of work trying to move everything... slowly I am getting there...lol...hope you have a restful day! Cathy I have not been bloogging for a long time; due to busy schedule. But it;s soooo good to be here again. Lucky me to stumble upon this gem; your card is gorgeous!